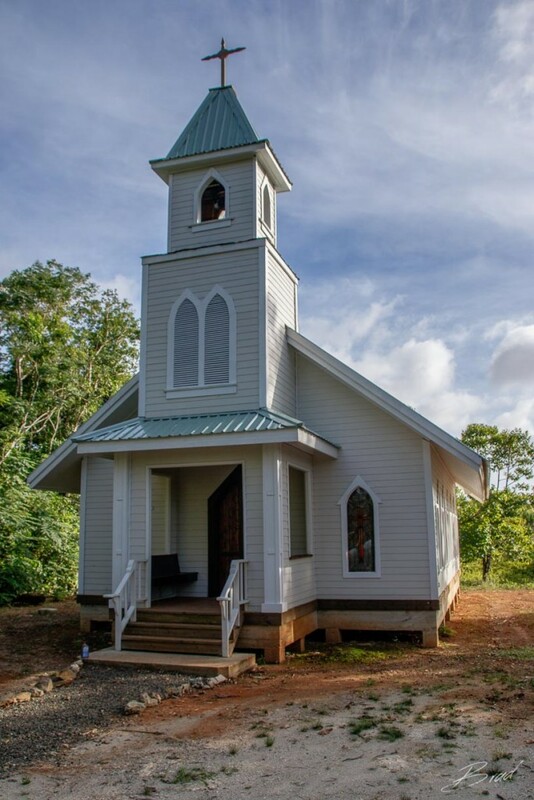 A newly built chapel in the forest with custom stained glass windows and colonial architecture is available for weddings and honeymoon photographs. Located 2.5 miles from Colonia, a short drive from most hotels, the chapel is available any day of the week for a wedding event or for several hours for honeymoon photos. 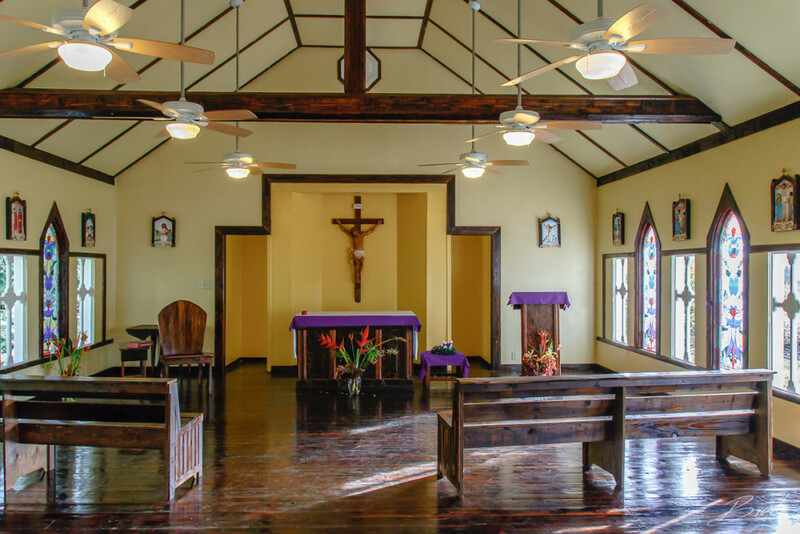 The chapel is available to be reserved for a wedding event or several hours for honeymoon photos, any day of the week. For more information and reservations, please contact the Yap Visitors Bureau. 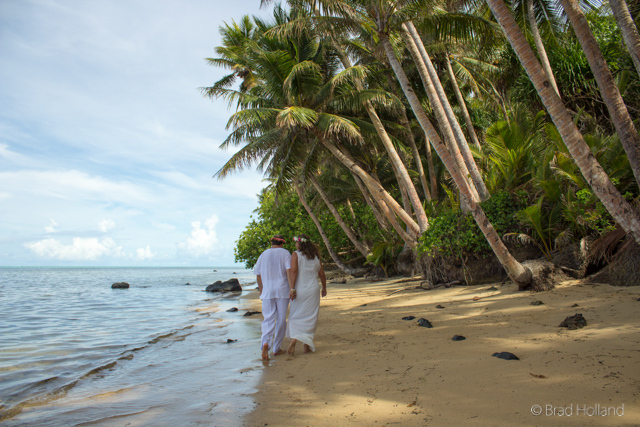 Yap’s undeveloped tropical setting is the perfect place for small weddings and paradise honeymoons. 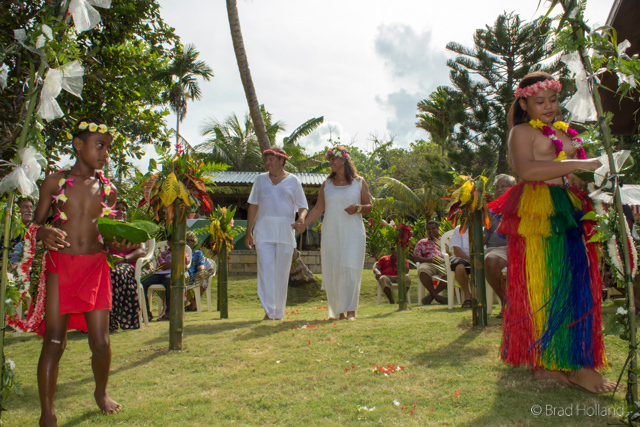 Only a few thousand people a year visit Yap, making it a very personal, special and unique experience for those who are celebrating a marriage or anniversary. 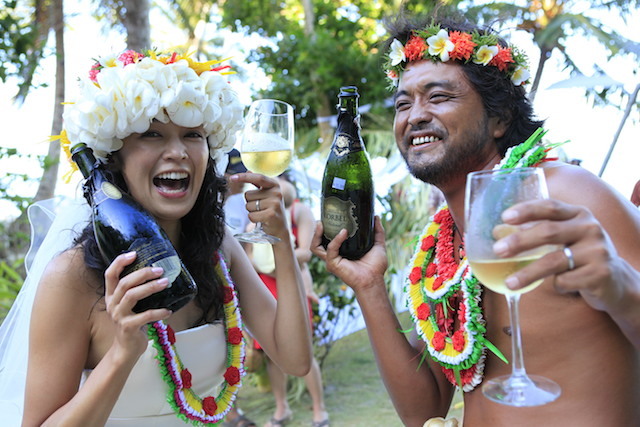 Yap’s natural beauty and traditional culture ensure the wedding couple and their party a memorable occasion decorated in handmade flower leis and traditional attire. Imagine a golden sand and coconut tree-lined beach with traditional Men’s houses dotting the shoreline of an emerald lagoon. 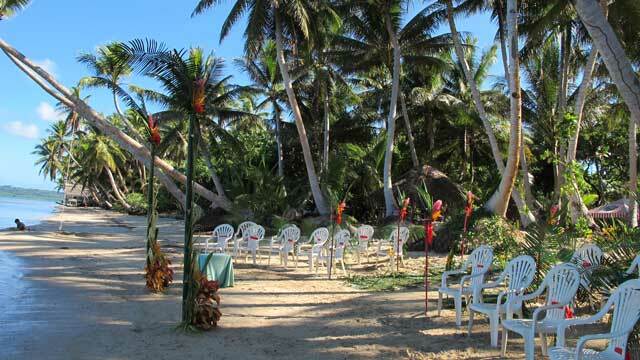 What more could you want for your private, romantic beach wedding or renewal of vows! Imagine, too, a mangrove park with a brilliant purple sunset reflecting on a glass lagoon for your photo album of memories… or your own private beach with a rope swing taking you both out over the sparking water. 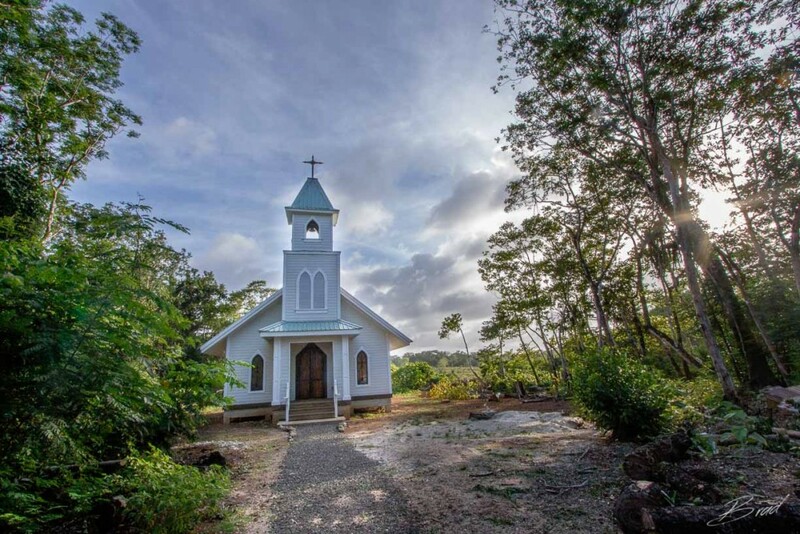 We will help you find those unique sites throughout the island that are available for private weddings and wedding photography. Barefoot weddings and honeymoon venues can be arranged through most of our hotels and tour operators or by contacting the Visitors Bureau office for more information and resources. 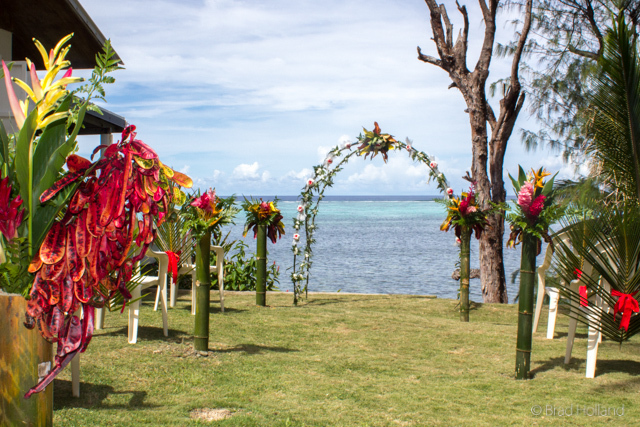 Getting married in Yap is an easy process, leaving you to concentrate on enjoying your special day. 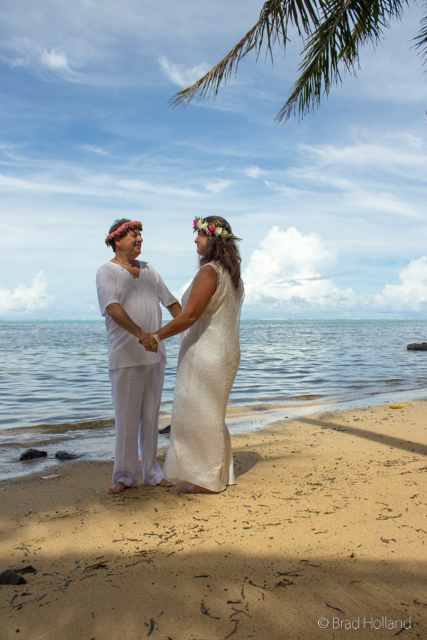 Anyone interested in a marriage in Yap will need to fill out a Marriage application form provided by the Yap State Court Office. Contact the Visitors Bureau to obtain an application from the court before arrival, as additional documents may be required. If the marriage is performed inside the Yap State Court House in Colonia, the fee is $10. If the marriage is performed outside the courthouse, such as on a beach or in a church or chapel, the fee is $75. Most of the hotels in Yap will be happy to assist you in making all necessary arrangements.